U2 The Joshua Tree, was originally released in 1987. It’s the band’s masterpiece that propelled them from arenas to football stadiums. 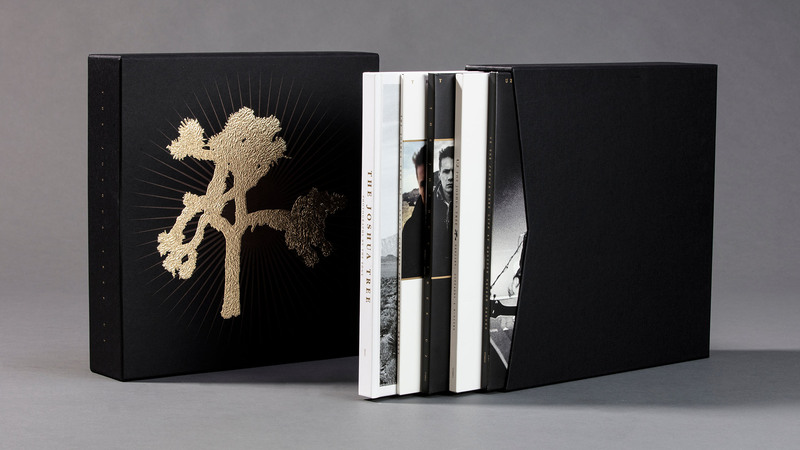 There’s not many U2 fans that don’t already have a copy of The Joshua Tree album already, probably in several formats. The brief then for this 30th anniversary retrospective box set, was to make an all vinyl-sized boxset for the bookshelf or coffee table. 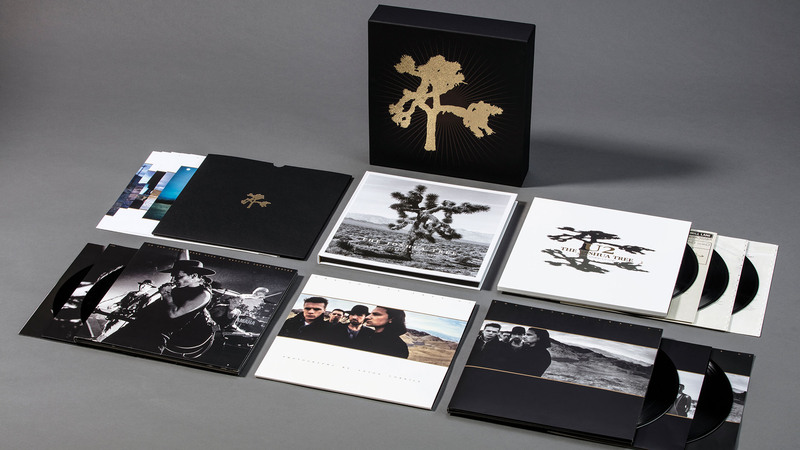 Our challenge was the make a box set that was significantly rewarding to music fans; by restoring the album artwork to its pristine condition and creating artwork for the newly released material that fitted in with the original look and that was also refreshing and considered. 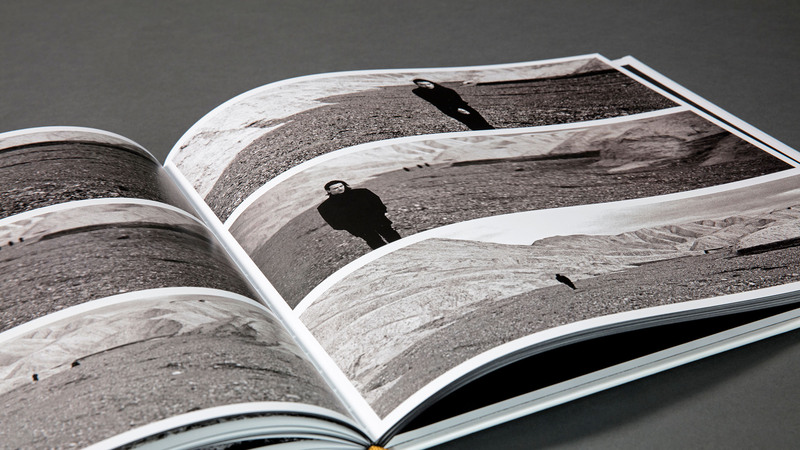 We spent a great deal of time with photography selection and layout. We had all of the insides of all components printed black as we did with the edging of the casebound book of photography. All of the print materials and finishes were carefully selected, including the exact shade of gold foil, the embossing impression depths and the textures of papers and boards used. The cover of the box was always going to be a key component of the packaging. We wanted to introduce something that would be memorable. In some ways we went back to basics by featuring just the iconic tree silhouette backed by a feint sunburst – in the original colour palette of gold against black. This seemingly simple solution was an interesting technical challenge for the print manufacturers as we wanted to make a cover that was uniquely tactile, the solution is the textured gold foil tree. All parties involved are very happy with the results and the project has been a complete commercial success. At the end of the day, we have hopefully created something that music fans will enjoy and that they feel rewarded for their investment.